Raymarine’s Axiom multifunction displays grabbed attention since they were introduced last year. First the Axiom line itself was introduced, then the line named the Axiom Pro was, during the same year. The Axiom XL line is hitting the market beginning this week. This is the most superior of them all, Raymarine says, and is meant for premium yachts and glass bridges, in either enclosed stations or open. The front of this piece of electronics is an edge-to-edge glass screen. Multifunction displays are screens that can show different marine electronics in one. 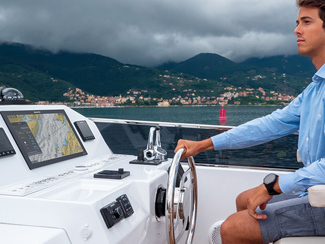 Axioms can show Raymarine navigation, radar, sonar and more. They can also show entertainment like stereo controls and can be used as a personal-computer screen. 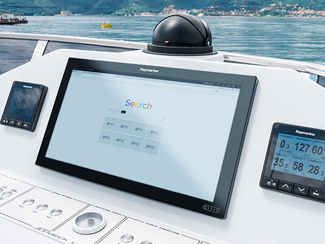 Axioms are Raymarine’s top-of-the-line displays. They're arguably the best in the market. So the XL could be considered the top of the top-of-the-line. The XL will be available in 16-, 19-, 22- and 24-inch screens, and the 24-incher will be the biggest in the Axiom lines. The 16 and 19 are currently available to order, the 22 will be available in September, and the 24 will be in July. For more details, visit Raymarine’s website.